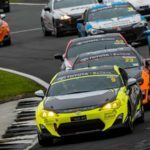 As the eyes of 110,000 focussed on the young guns in the Toyota 86 Championship over the Supercars weekend at Pukekohe Park, one more senior racer used his experience to good effect to make his own mark on the super-competitive championship. 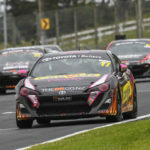 Andrew Jackson - and team Darkhorse Racing – debuted in the Championship and made it a weekend to remember..
Connor Adam got his Toyota 86 Championship campaign off to the best possible start with a lights-to-flag victory in the first race of the season at Pukekohe Park. 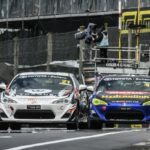 It wasn't an easy victory however, as the Post Haste-backed International Motorsport driver came under intense pressure during the race from both pole position holder Jordan Baldwin and Jaden Ransley. 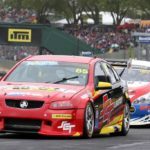 Adam made..
Australian driver Jack Smith has taken the first win of the season at the opening round of the BNT V8s at Pukekohe today. Starting from pole position, Smith lost the lead to Nick Ross in his Total Lubricants Nissan Altima off the start, with the Cambridge driver leading for much of the race. A safety car was called on lap..